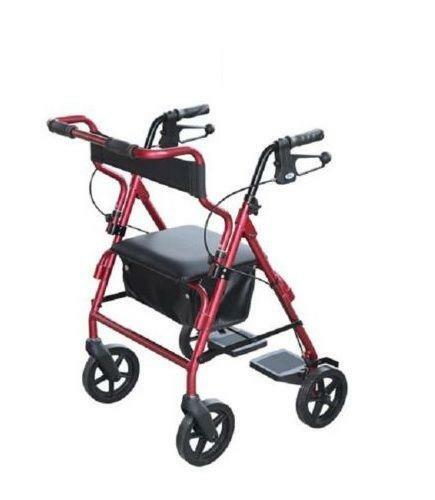 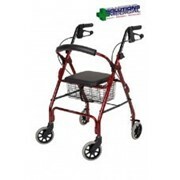 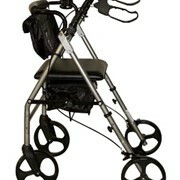 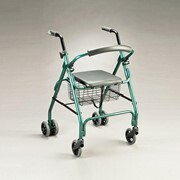 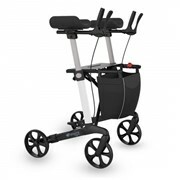 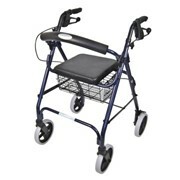 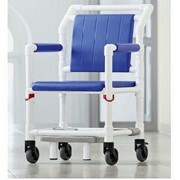 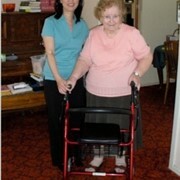 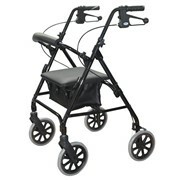 The rollator features height adjustable handles with easy to operate loop breaks. 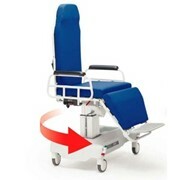 The transit chair has flip up footrests providing support during transport, a lap belt and a pushing bar with non-slip hand grips. 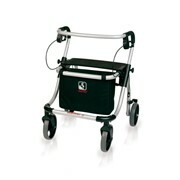 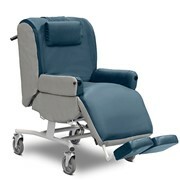 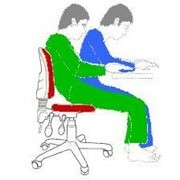 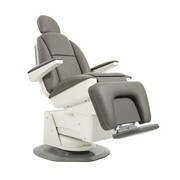 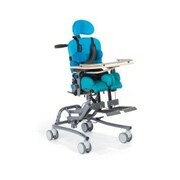 The seat and backrest are padded for comfort when seated and there is an under seat bag for carrying small items. 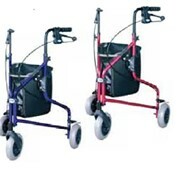 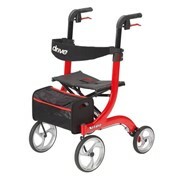 Large (7 1/2") wheels provide easy manoeuvrability.